Head on over to the downloads page to get the August edition of Lode Runner: The Mad Monks' Rewrite. This month's update has seen 40+ bug fixes and improvements and the introduction of LAN gaming. The next build will be at the end of September. Continue reading for a summary of all the fixes, improvements and new features in the August update. 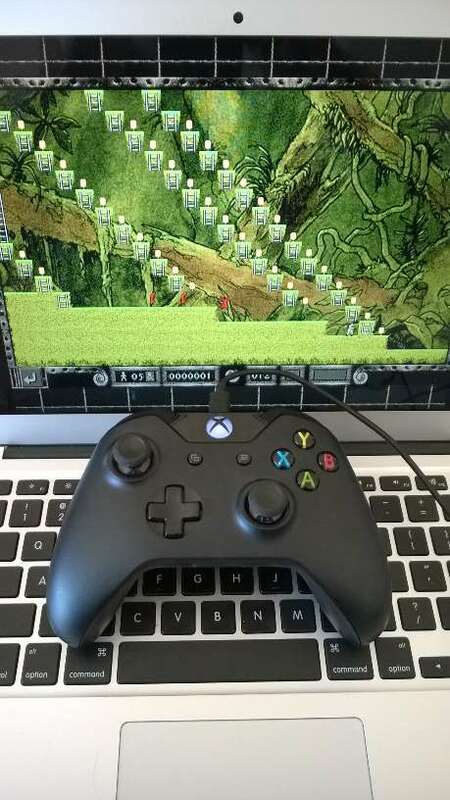 If your main PC is an Apple machine with OS X and you're looking for a good quality game controller, I highly recommend a Microsoft Xbox One controller. Just follow these steps to install the driver and you are in business. August introduced the ability to host/join a network game. Please note that LAN gaming is very experimental at this stage - games will easily get out of sync. When using BMP Font Generator, I highly suggest you make a copy of the main *.bmfc font file often as when it crashes, the file gets wiped and you have to start again. to get XNA to work with VS 2015, install XNA via this CodePlex project and then edit the extensions manifest file as per this Stack Overflow answer. With Windows 10, you can load and save both puzzles and games. The save dialog doesn't have a textbox to specify a file name which means saving is a little trickier. As a workaround, navigate to a folder that has saved games or puzzles, make a copy and then rename the file to whatever you want (just use copy/paste/rename from the dialog). Select your file, click save and overwrite it when prompted.